The Anti-Counterfeiting Forum is delighted to announce the details of its 8th annual seminar, which is to be held on Wednesday 22d March 2017 at the Grange Rochester Hotel in central London. Recent major trends in counterfeiting and counterfeit avoidance and an overview of how to access further information, much of it free of charge. 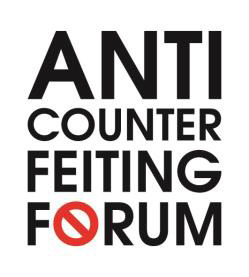 For more information about the seminar, including a copy of the draft agenda, please visit the Anti-Counterfeiting Forum website.